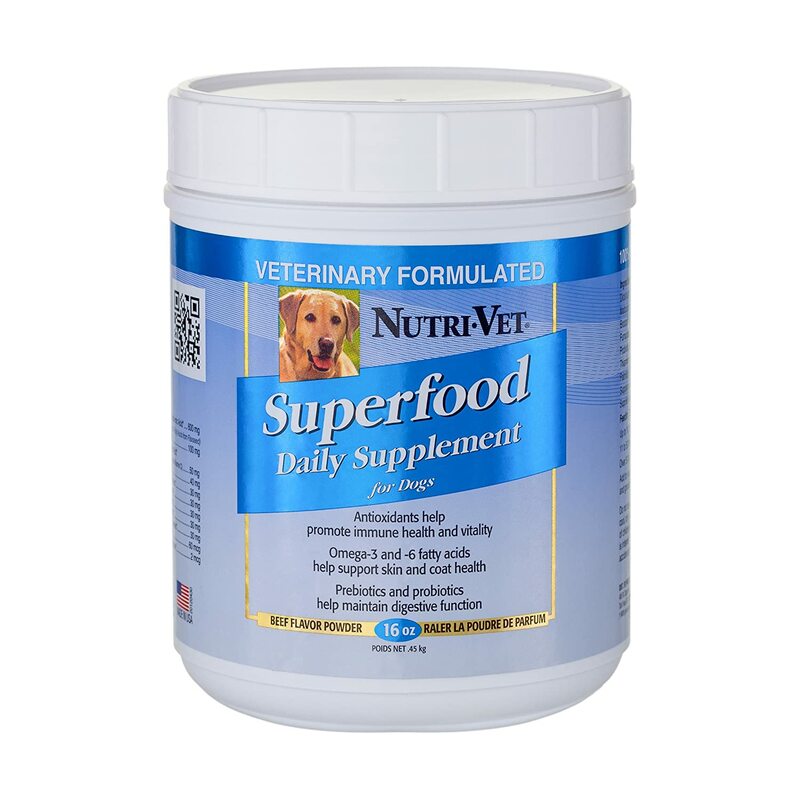 Super food Daily Supplement for dogs is uniquely formulated with fruits and vegetables that provide potent antioxidants to reduce the negative effects of stress. A wide spectrum of vitamins, minerals and omega fatty acids complement your dogs daily diet to help promote vitality and heartiness when used on a daily basis. Its superb beef taste makes for a great food topper and may even help your dog "lick the bowl clean". Add to your dog's food. Start with half the recommended amount and gradually increase to full amount over the course of one week. Provide added vitamins, minerals and other nutrients for dogs.